A Lancashire fundraiser is aiming to raise £10,000 for the Bay Hospitals Charity, by running the Blackpool Marathon, whilst at the same time raising awareness of a rare cancer, which claimed the life of a friend. Kathy Pinington is running the Blackpool Marathon on Sunday 22 April, in memory of close friend, Janet Wilkes, who passed away in February 2018, after being cared for in the Oncology Unit at the Royal Lancaster Infirmary (RLI). Janet had the rare form of Thymus Gland Cancer. Kathy, who met Janet through twenty years of working together in the equine industry, admits that the 26-mile run will be a challenge, as exercise is normally limited to a three-mile run with her dog. But she is keen to pay tribute to her close friend and also raise fund for the Oncology Unit. “I was only in America with Janet in October and she wasn’t diagnosed then. It has all been very quick; it was very sad and sudden. With the initial target of £6,000 close to being broken already, the target in the build-up to the run is now raised to £10,000, with the monies raised going towards the Oncology Unit at the RLI via the Bay Hospital Charity, at Janet’s request. “On behalf of the Bay Hospitals Charity team, I would like to say a massive thank you to Kathy for all of her efforts in raising funds for the Bay Hospitals Charity. 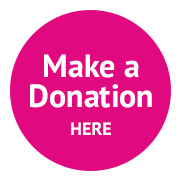 The staff at the Oncology Unit at the RLI and the patients they care for will benefit greatly from the funds raised. To make a donation to Kathy Pinington’s fundraising efforts go to Kathy’s Just Giving page.